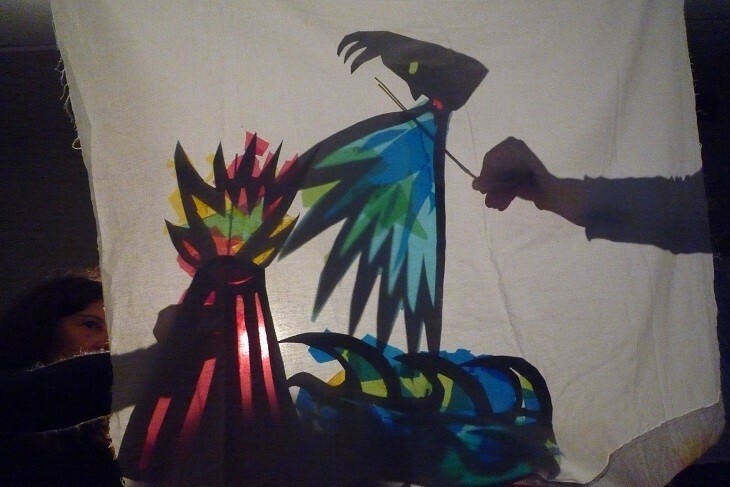 Shadow theatre is surprisingly attractive, casting a special spell on audiences of all ages. 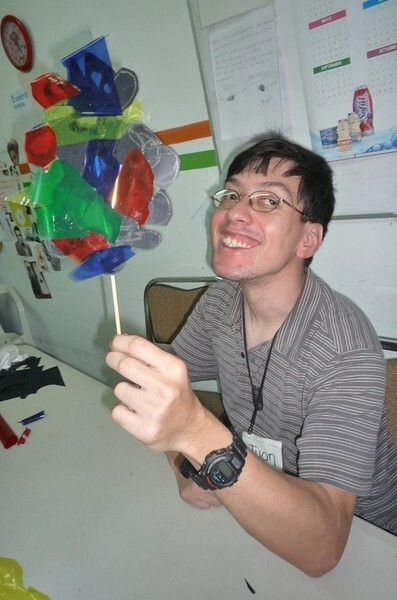 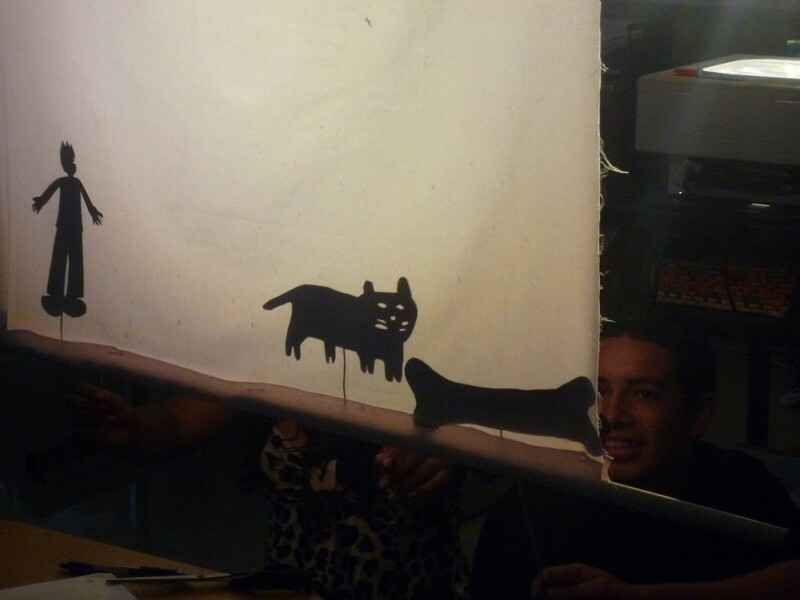 In addition, it is incredibly simple to make: just draw a silhouette on a piece of black cardboard with a white crayon, cut it out and tape a barbecue stick to the back. 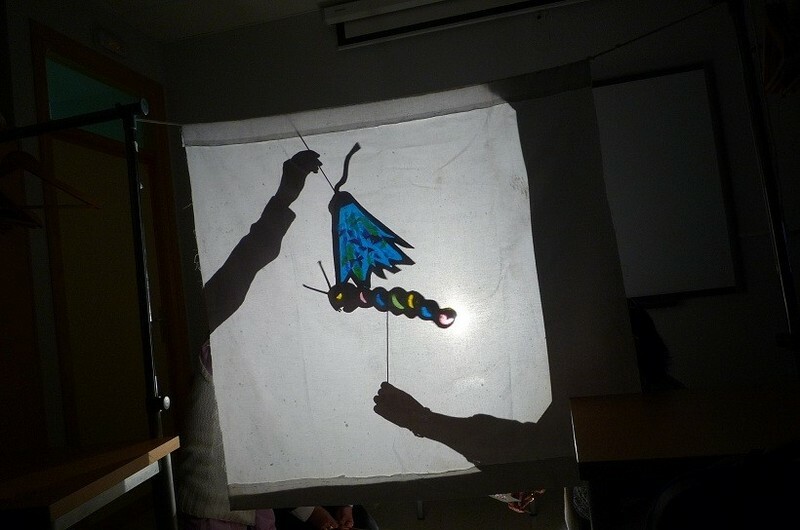 You can glue bits of coloured cellophane to your shadow puppets to make them more attractive. 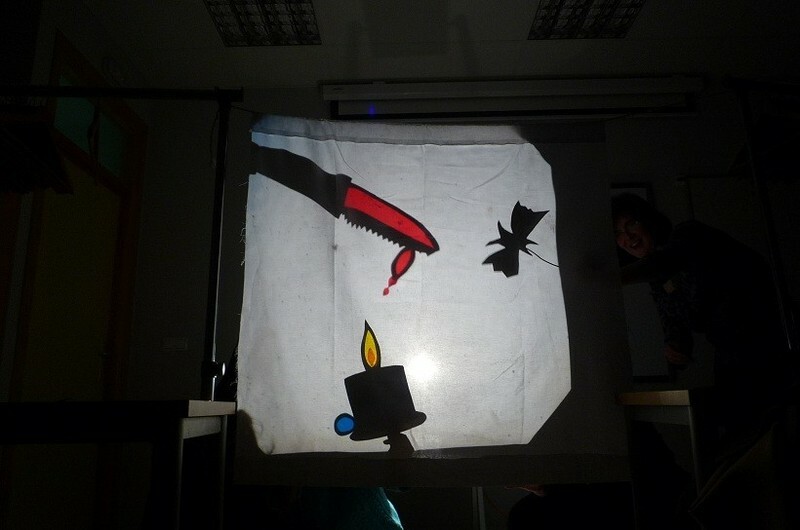 For a screen you can use a piece of white cotton fabric sewn to a broomstick which is then hung horizontally from the ceiling or between two desks. 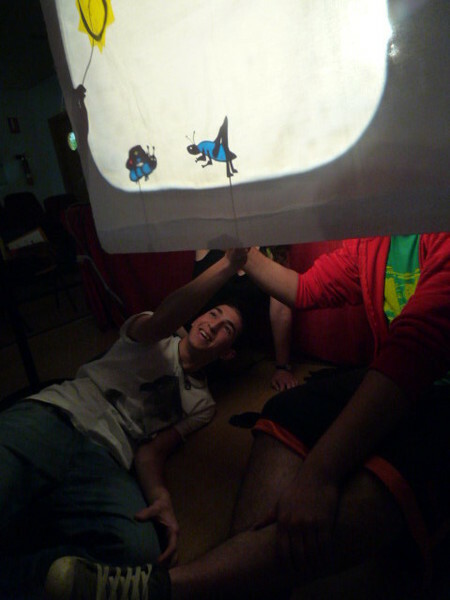 A lamp is placed about 1 metre from the screen and the light directed to the centre. 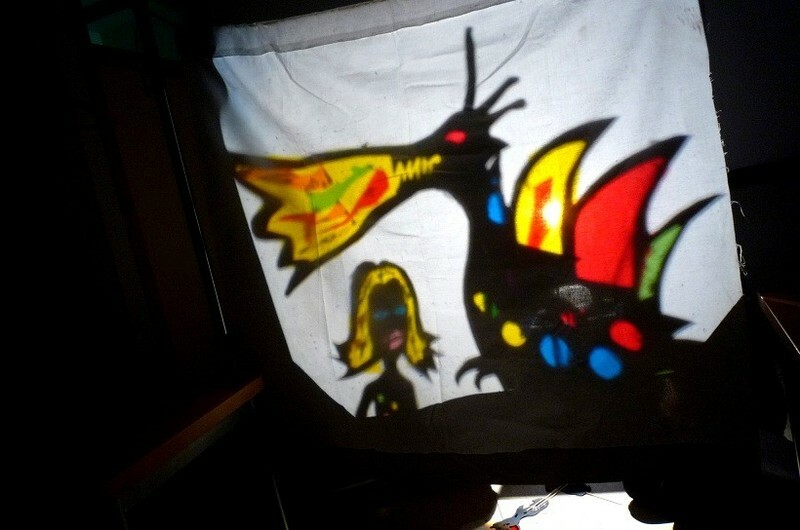 These puppets are operated from behind the screen, so what the audience actually sees are the projected shadows, which increase in size if drawn away from the cotton fabric. 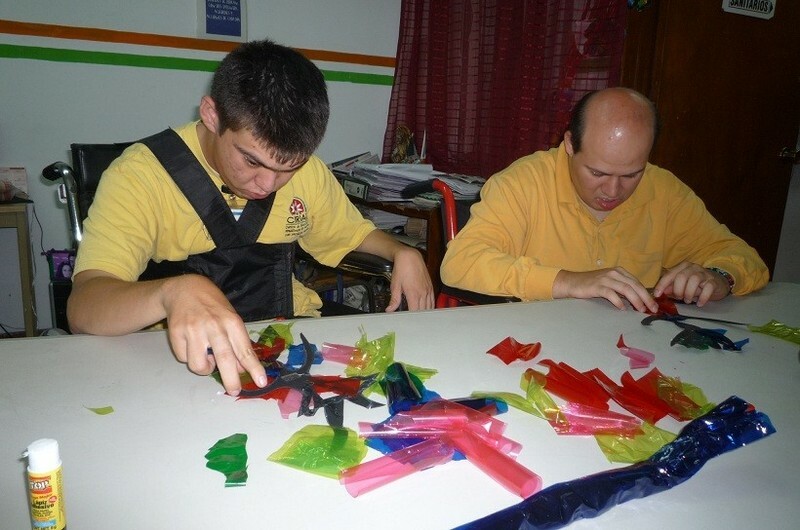 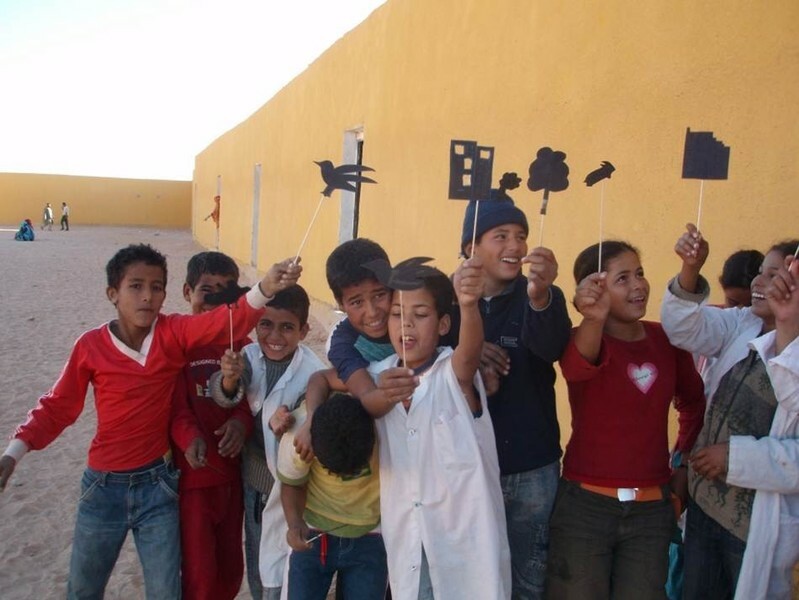 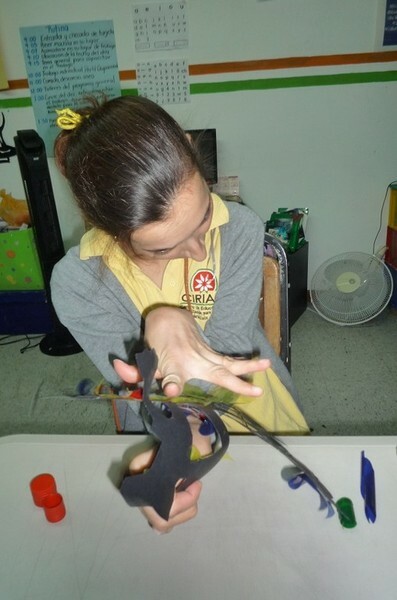 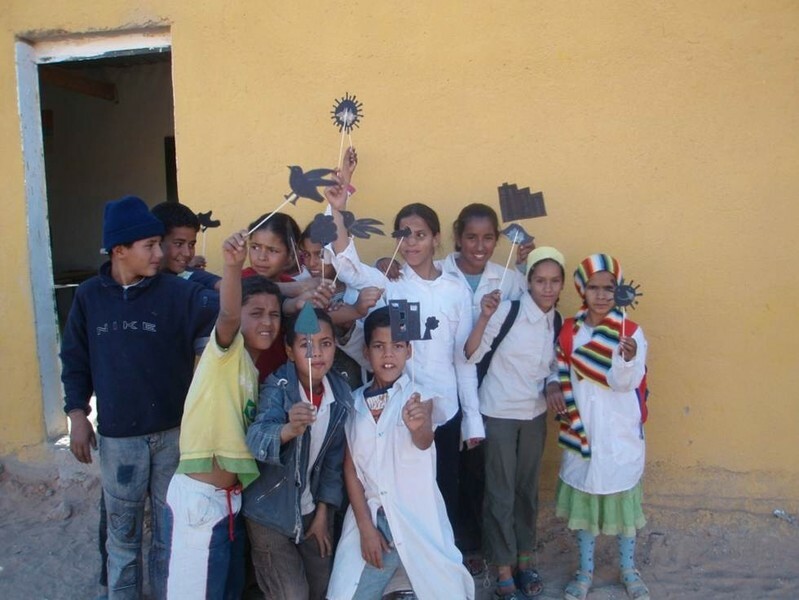 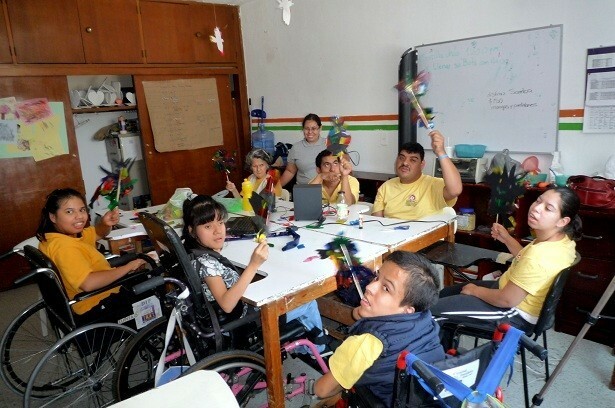 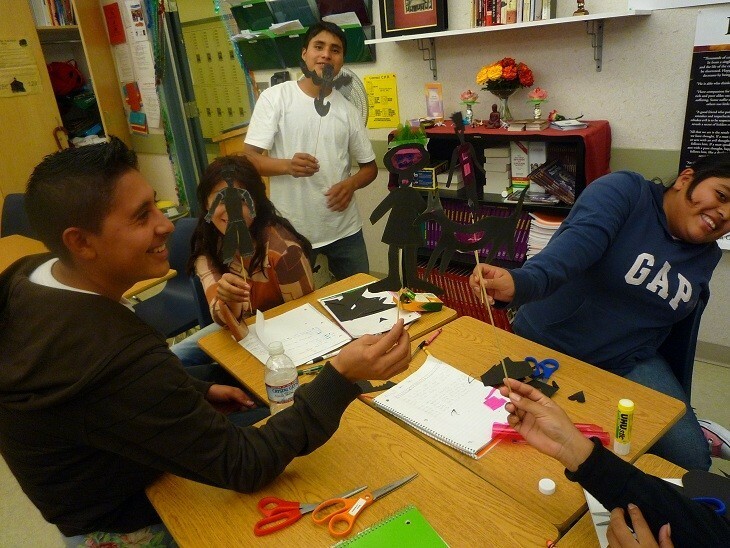 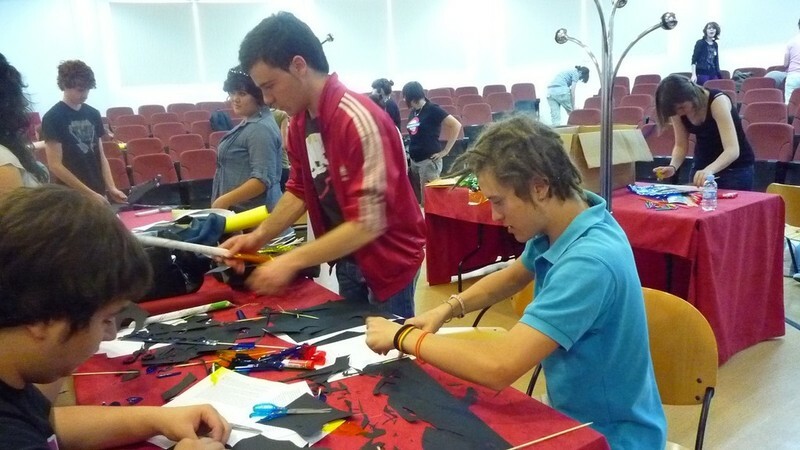 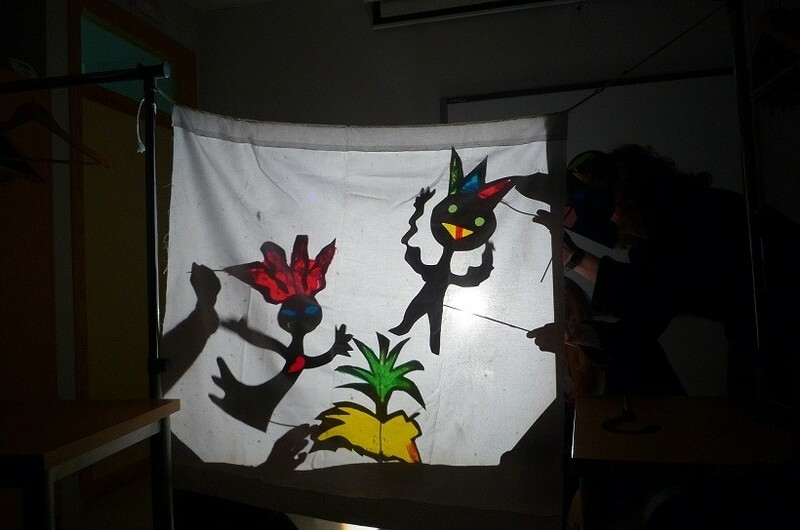 It is an easy, highly enjoyable activity favoured not only by primary school pupils but also by teenagers, who often enjoy using shadow puppets to talk about their favourite songs or narrate their weekend outings to their peers. 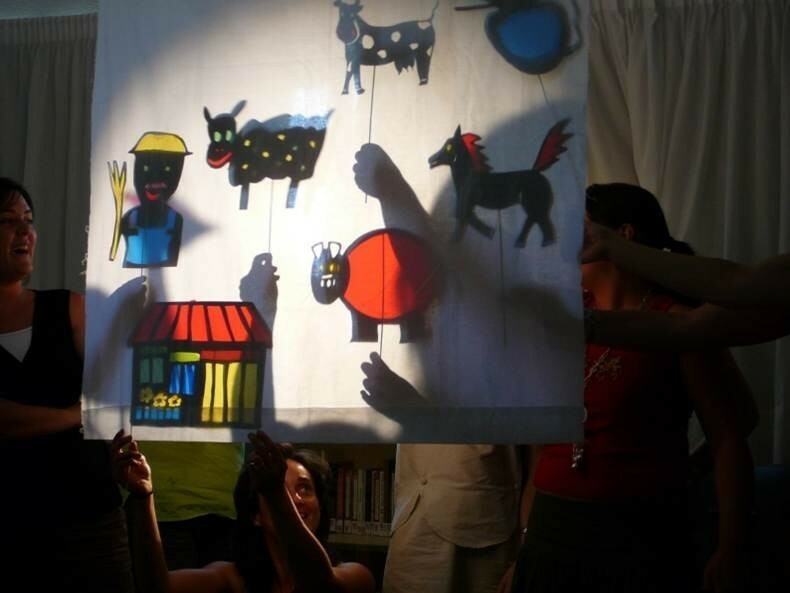 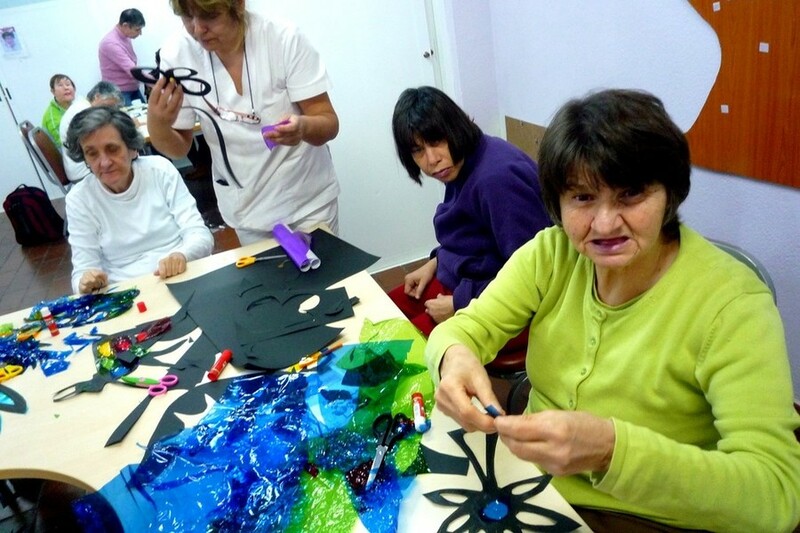 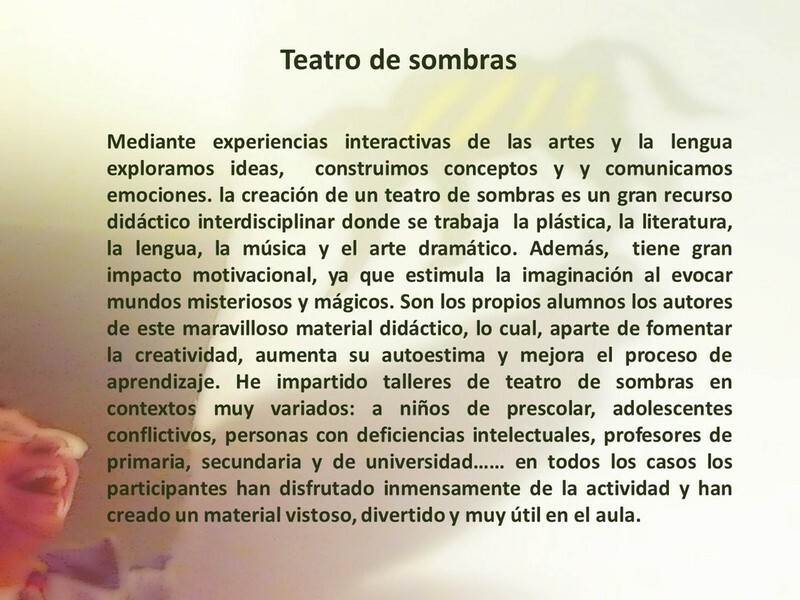 Adult learners find shadow theatre resourceful too, as it can be used in all sorts of contexts: to illustrate poetry or historical ballads, trigger off discussions about political or social issues, talk about tv programmes or films….